← What Companies Need To Know About ‘Middleware’? 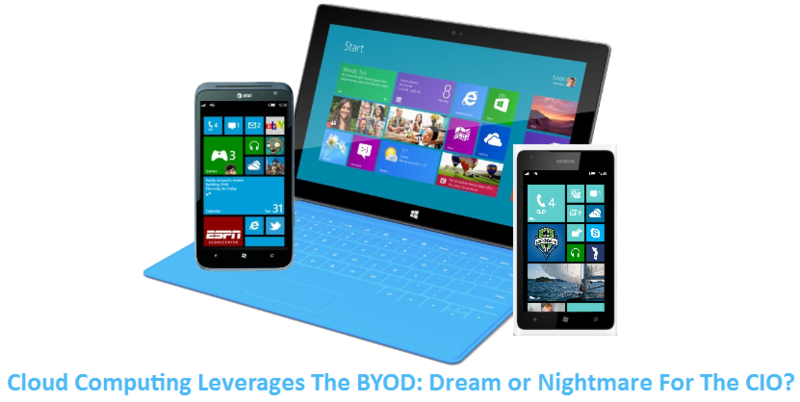 The concept of BYOD (Bring Your Own Device) is under the spotlight of modern CIOs, is indisputable. Still, the proliferation of these devices in an uncontrolled and unmanaged way, may turn the CIO’s dream of having outdated PCs supplemented or even replaced by these new technologies into a nightmare. In times of large investments in computing and cloud solutions, applications and services are available to users in an absolutely simple way to be consumed. This increases the efficiency of enterprises, accelerate the business world, energizes sales volumes and congestion transactions and the media. But above all, this transformation requires that the areas of IT firms devote special attention to these mobile devices and their use for business purposes. Besides the traditional use of BYOD policies, it is essential to develop policies that did its best in increasing safety in devices, applications and key components, these policies should always prioritize the data beyond any question. Create clear policies and objectives, which intervened minimally on user devices and allow them to take full advantage of these devices that has a positive impact on the corporate performance for the areas of IT and obviously for the CIO. It is important to note that today, the policies that simply prohibit or block the use of these resources in the enterprise IT environment draw outdated and puts the CIO and his team absolutely out of the principles of growth and innovation of the corporation. To redeem the users delighted and seduced by external applications, available in large sites and data centers – case of Dropbox, Hotmail and many others – can create policies using mobile devices concrete and objective, with certain limits. It is worth investing also in an indoor environment (Market Place), under the private cloud model, where users can provision the company and buy resources anywhere and anytime. In the Market Place, the user will have virtual machines, a multitude of applications (AAAS), storage, CRM, Collaboration, etc.. Will be ticketed for using it and during the time that you are using. Studies show that the use of BYOD increases the productivity of companies and their professionals. Many of these professionals prefer to use their own equipment to use the company and here we emphasize productivity rather than cost reduction. Although the company could target a gain of costs with the evolution and use of BYOD, we know that these costs end up growing somewhere around 30%. This may involve hidden costs of communication, wireless, etc.. Especially when compared with the known costs of traditional dedicated workstation. Considering this scenario, remember that the CIO’s count on an environment that is ready to receive or redeem its users with BYOD, there is a period of planning and preparation for the launch of the environment, device management and security control. Until this phase is complete, the areas of IT living nightmares and moments of discomfort against users smarter already make use of external resources and applications, often mixing them with corporate information and confidential. Until we get to the stage of dreams and harmony, yet pass through difficult times, and prohibitions important distinct feeling that the environment has lost its control. When there is enough time to turn and acculturate users and customers, success is guaranteed. Unfortunately, the urgency of natural market and the economy does not always make this time available and the project that began as a professional, finished on the other end. A shame, but a reality. This entry was posted in Cloud Hosting and tagged Bring Your Own Device, BYOD, Cloud Computing, Cloud Data Center. Bookmark the permalink.